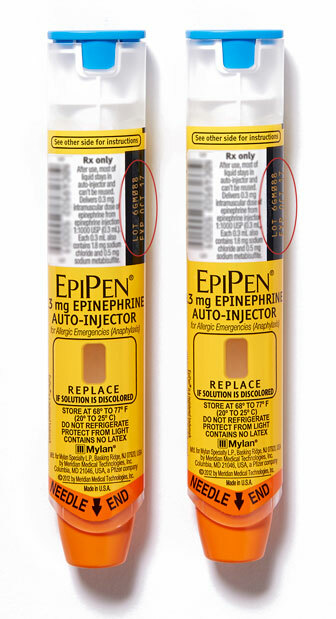 Meridian Medical Technologies has expanded the recall on certain lots of EpiPen and EpiPen Jr. Auto-injectors. 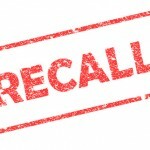 The voluntary recall includes additional lots that were distributed in the United States and Europe, Asia, and other markets in North and South America. Meridian Medical Technologies, a Pfizer company, is Mylan’s manufacturing partner (Mylan is the distributor). The recall has occurred as a result of two previously disclosed reports that stated the device failed to activate due to a potential defect in a supplier component (this occurred outside the United States). This means the device could potentially fail during an emergency, and as a result, a patient could experience serious health consequences such as anaphylaxis. According to Mylan, the incidence of the defect is “extremely rare” and testing across the lot of interest did not identify any units with a defect. The recalled product was manufactured and distributed between December 2015 and July 2016. Mylan says it will replace the recalled devices at no cost and is advising patients to refer to the recall information on its website for information on the product return and replacement process (call Stericycle at 877-650-3494). FDA has a list of the U.S. impacted lots on its website.